Planning out what footwear and clothing to pack is super important! Know what the climate will be like where you are going and if there are any special considerations for modesty you need to be aware of. The perfect pair for a week in Asia. There are so many things to consider when packing your wardrobe. Climate is a major one, also modesty and length of your trip. If you're gone for a week or less, you probably don't need to worry about doing laundry. You have the option of washing some undies in a sink or finding a laundromat if you are away longer. Climate will probably be the biggest dictator of what you pack. Cold climates need more layers and longer sleeves. If there is snow you might need boots. Don't forget your wool socks, scarf, mittens, a toque... proper parka. Unfortunately this all makes for heavy luggage. But it's necessary if you're going to have a winter adventure. 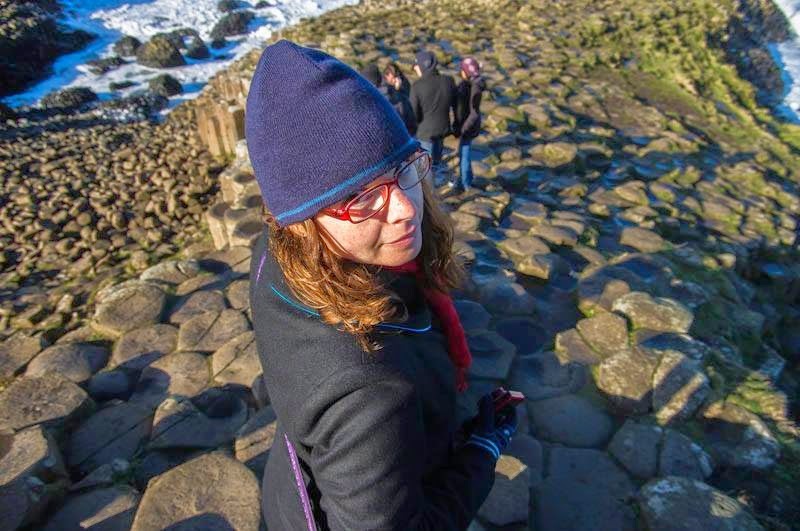 Trying to keep warm in Northern Ireland. Hot climates might mean lighter clothing but that doesn't mean you can prance around in short shorts and a tank top everywhere. Despite being sweltering hot, most respectable ladies in the Philippines will not show thigh nor chest. Should you be visiting a Buddhist country you'll need to keep your shoulders and knees covered to enter any temples. We recently booked a tour that requires us to wear a collared shirt and shoes that completely cover our feet for one stop. You can not claim ignorance in cases where they have strict rules. Dress properly or wait outside. Personally, I start my clothing plan by deciding between earth tones or vibrant colours. Am I bringing my black shoes or my brown ones? If you pick one side, you can narrow down your choices and can then mix and match all of your items that you'll have with you. Shoes can be heavy so you'll want as few as possible. I find that a dressy pair of flats and some comfy walking sneakers usually work for basic trips. Of course, you also have to make plans for your activities. A beach vacation will look very different than a mountain climbing expedition. 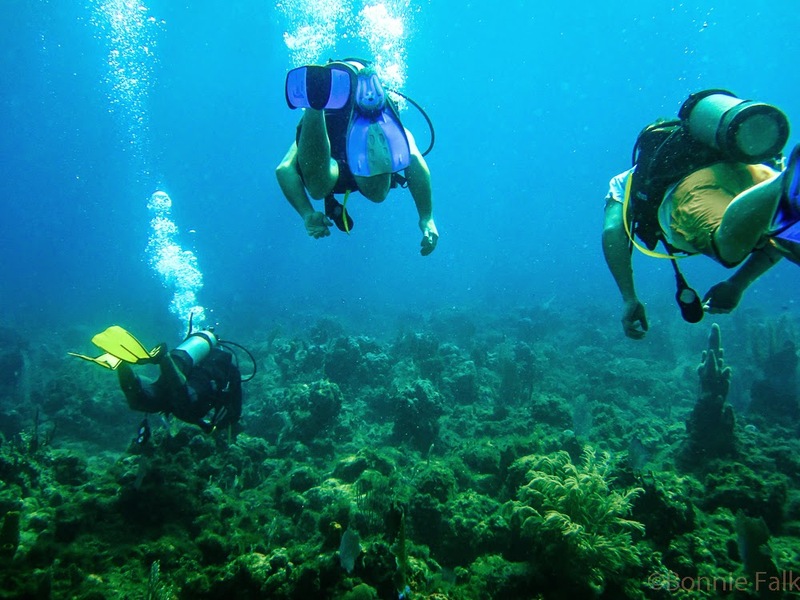 If you're planning a specialty trip, you'll have to figure out what your needs are. Another tip; bring flip flops. No matter where I go, I always have some with me. Sure they're perfect for going to the beach or down to the hotel pool, but I also like to have them for walking around hotel rooms and sometimes for showering. I used to go on semi-truck trips with my dad when I was little and we always had shower flip flops so as not to pick up weird foot diseases in truck stop showers. He's instilled that paranoia in me. Interesting topic. 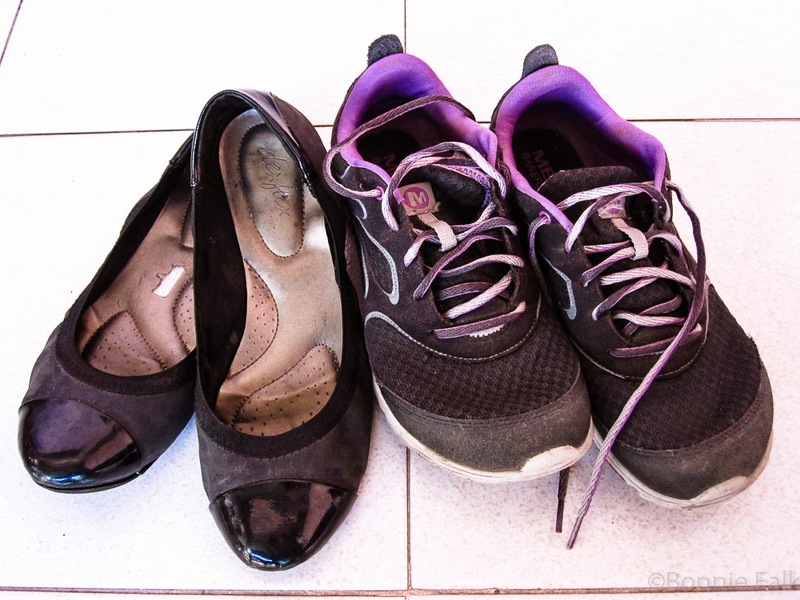 I hate packing shoes for long trips as they take up a lot of room when you are a size 14, so I normally pack one pair of nicer shoes and wear running shoes on the plane. The flip flops are a great idea and it was interesting to hear that certain places like temples have strict requirements. 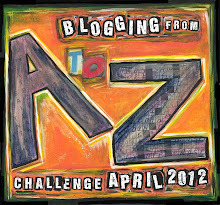 Thanks for sharing and I look forward to seeing what you have for the rest of the a-z challenge. Thanks! I used to just pack for the weather but I've learned there is more to it than that. Size 14, yikes! You definitely want to plan your shoes efficiently! I usually only bring my flip flops and hiking sandals. The only exception is if I'll be needing a "dress up" pair. Good post. Thank you! It does depend on what you'll do on your trip. We've had a lot of work/exploring trips lately so I usually need office appropriate foot wear.